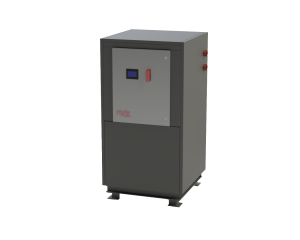 Absorbs heat from water sources including return chiller water, process and ground water. 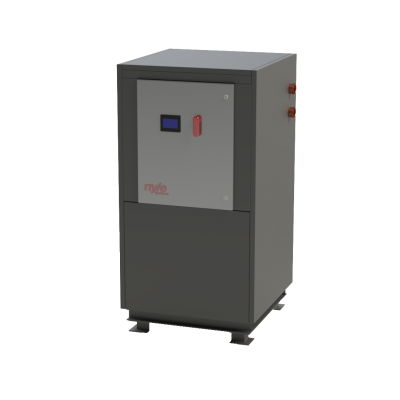 Our CWM Series is a high-efficiency modular water to water heater. 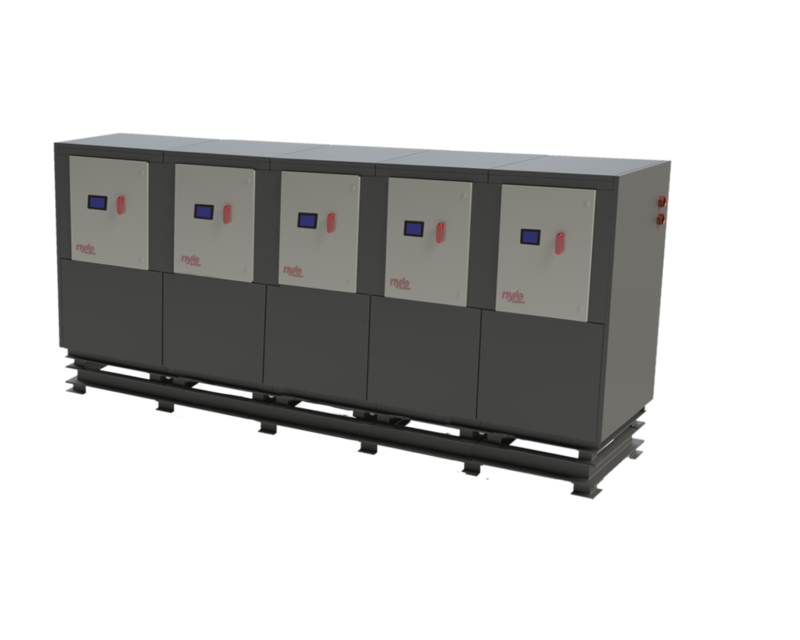 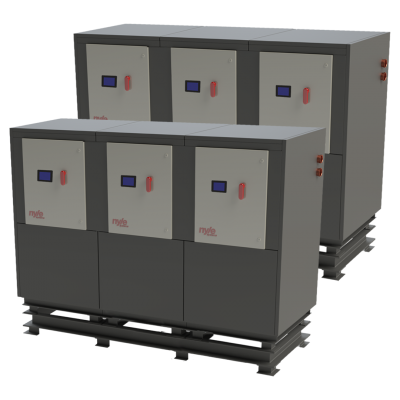 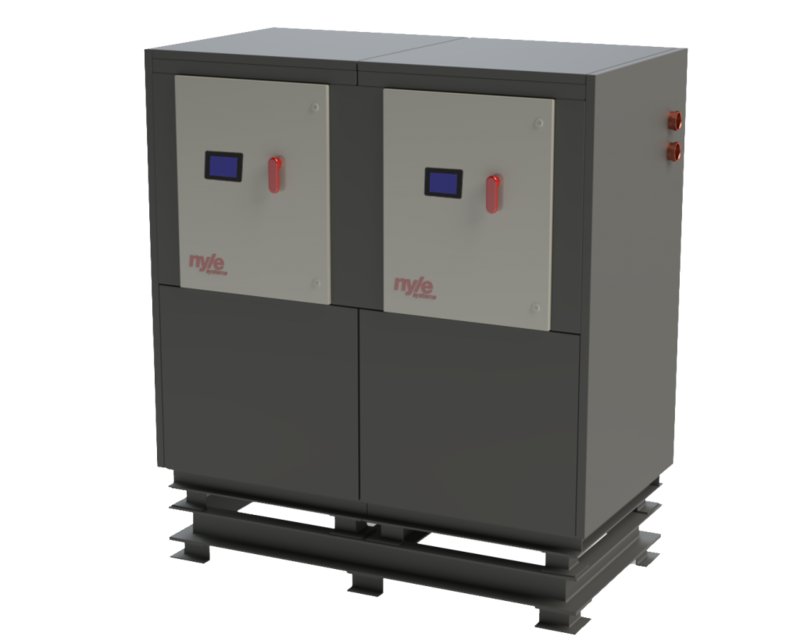 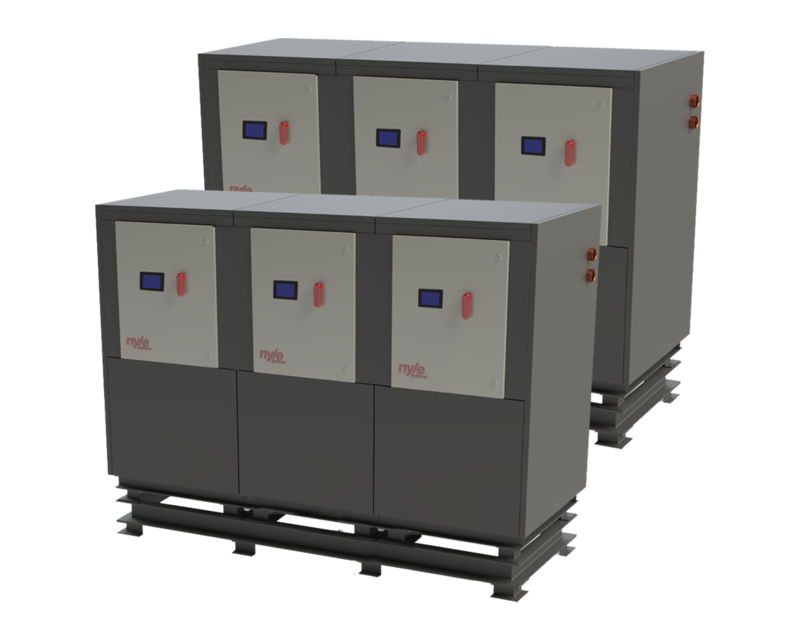 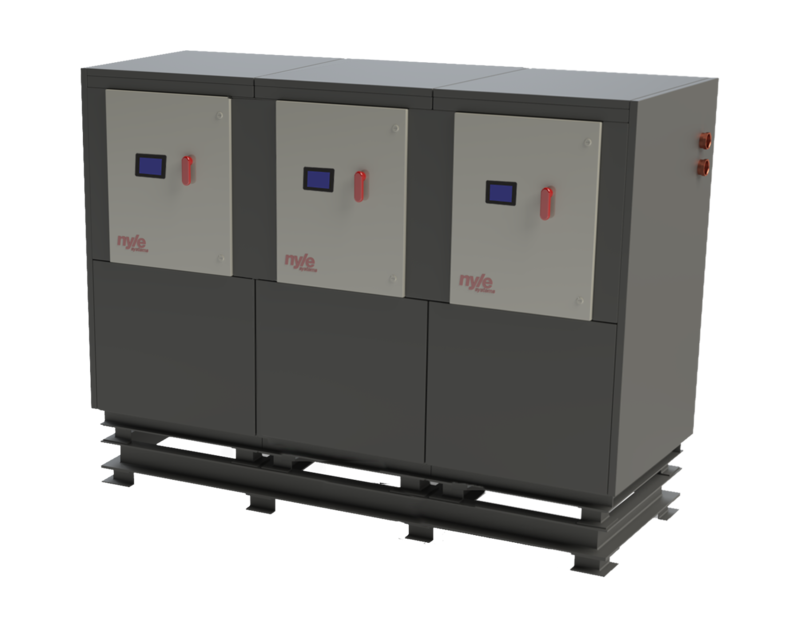 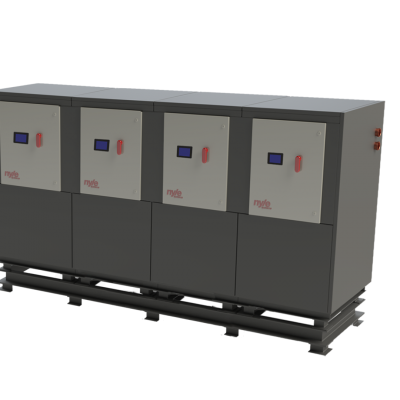 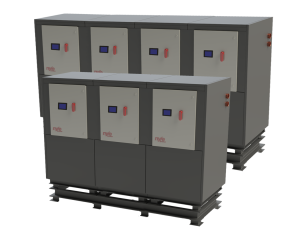 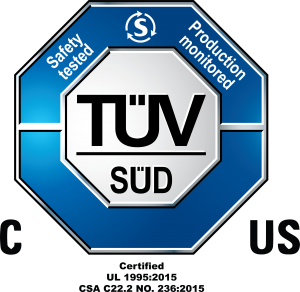 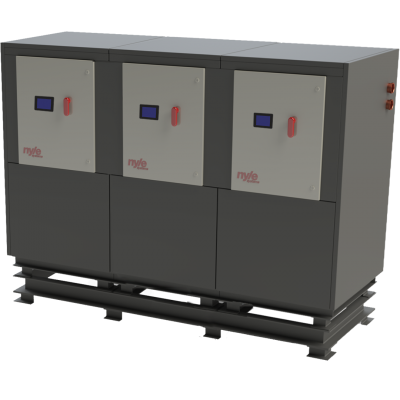 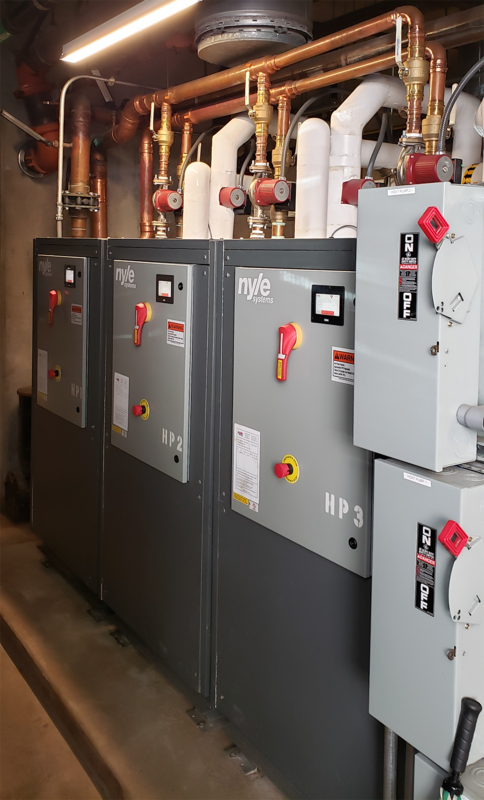 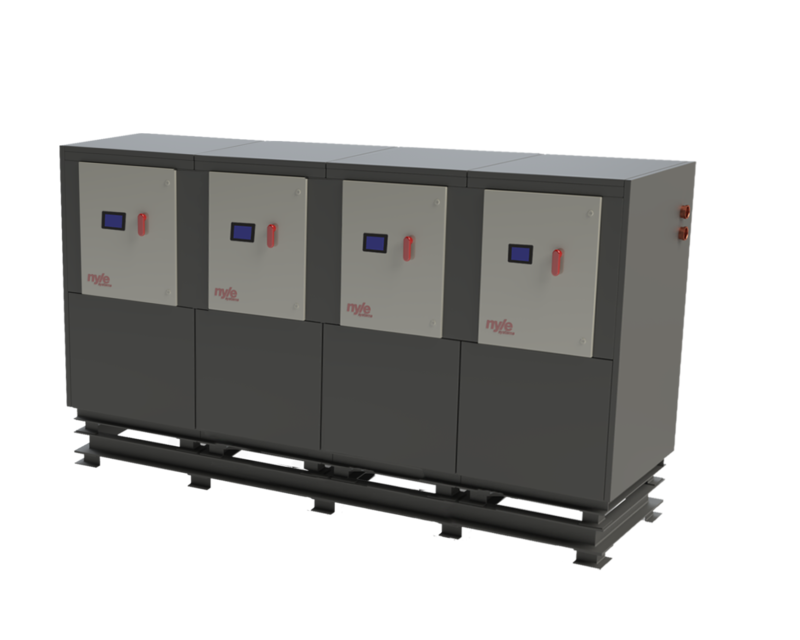 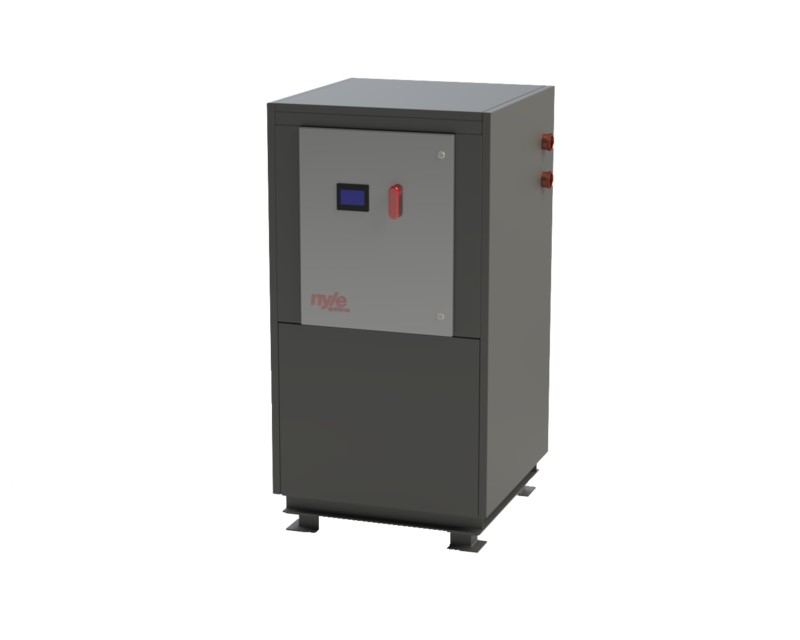 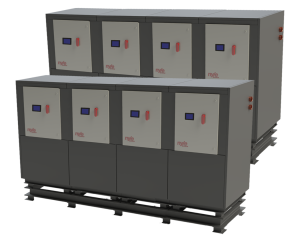 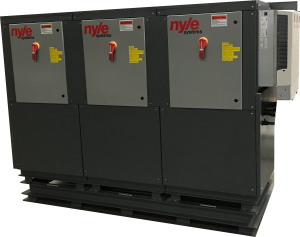 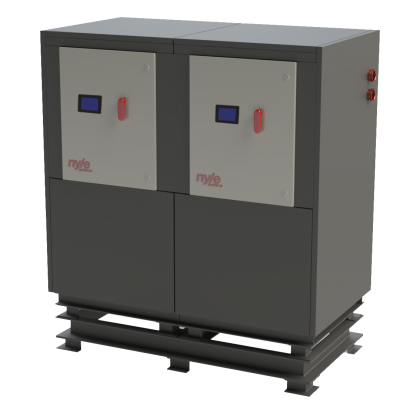 These units range in heating capacity from 270MBTUH to over 2,000MBTUH generating from 323 to 2,584 gallons of hot water per hour. 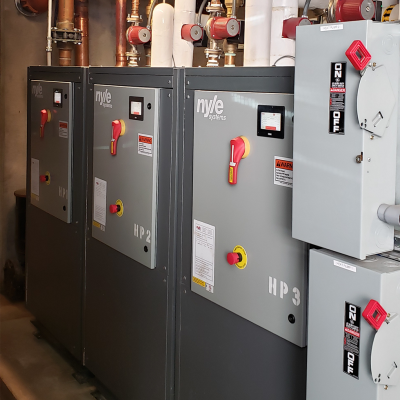 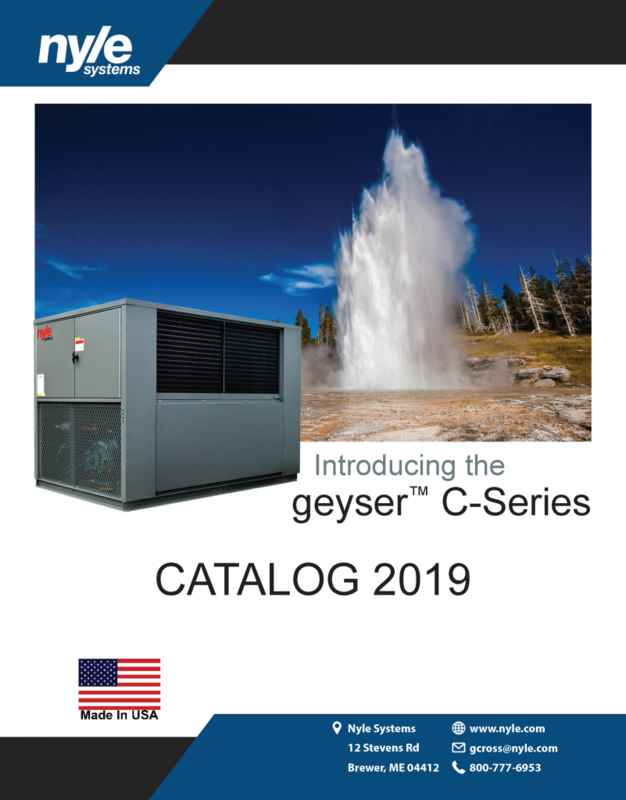 While these units are heating water up to 160°F, (condenser side), they are also cooling the source water, (evaporator side), that can be used for chiller water for air conditioning systems or process water for cooling of equipment. 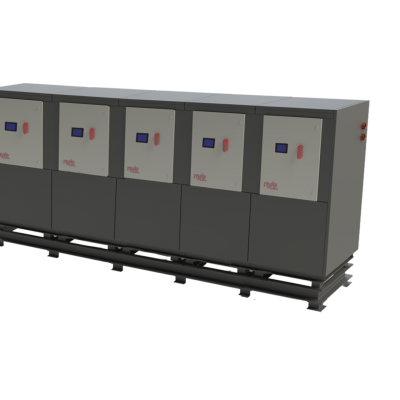 Dimensions (LxWxH) 347/8" x 361/4" x 671/4"
Dimensions (LxWxH) 671/4" x 361/4" x 751/4"
Dimensions (LxWxH) 995/8" x 361/4" x 751/4"
C270WM 50 277,100 4.8 210,800 3.8 8.6 347/8" x 361/4" x 671/4"
C540WM 100 554,200 4.8 414,450 3.8 8.6 671/4" x 361/4" x 751/4"
C810WM 150 831,300 4.8 632,500 3.8 8.6 995/8" x 361/4" x 751/4"